Masao Yamashita was raised in a Buddhist family. At age sixteen he borrowed a book from his sister who was taking a Great Literature course at school. The book was a Bible. Masao read it, felt God speaking to him, and began attending a local church started by Christian Reformed missionaries. He also began listening to a Back to God Ministries Japanese radio program—Morning Word. A year later he committed his life to Christ and was baptized. Rev. Yamashita studied at Kobe Reformed Seminary and then graduated from Calvin Theological Seminary in Michigan. He returned to Japan to pastor the Tsukuba Mikatoba Reformed Church until 1998, when he was called to be the Japanese ministry leader for Back to God Ministries International. He now produces the same program that helped bring him to Christ as a teenager! In addition to overseeing the multi-media outreach ministry in Japan, Rev. Yamashita coordinates ministry with the Reformed Church of Japan, and frequently preaches in local churches. 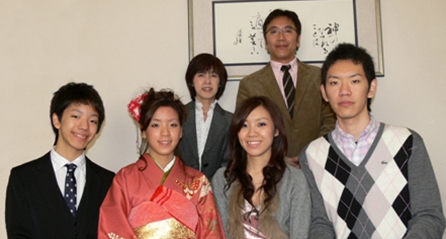 Masao and his wife Tomoko have four children, three of whom are married.